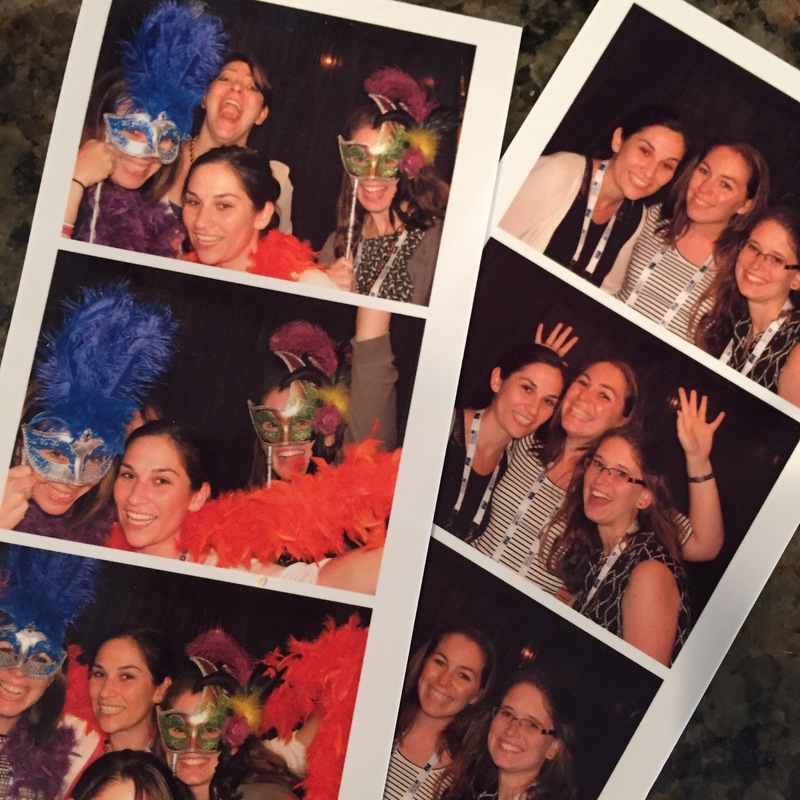 I took a little blogger break the past couple days while I have been at the annual genetic counselors meeting in New Orleans. 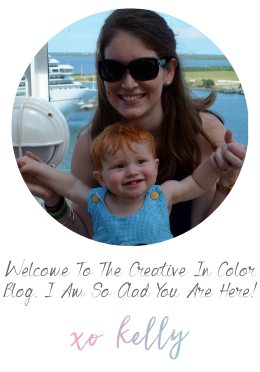 I always intent to keep blogging while away on work trips, but it just doesn't happen. 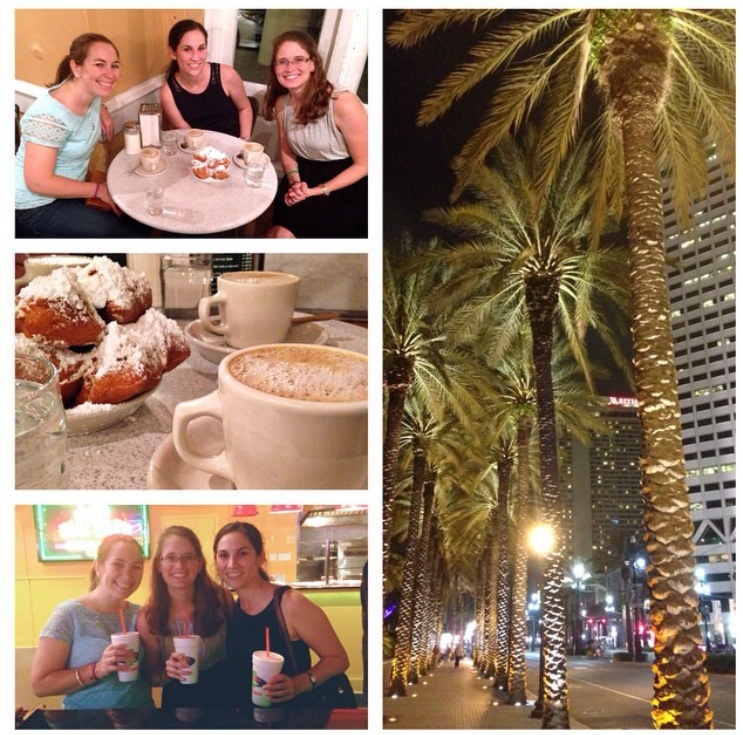 We have been excited for this years NSGC ever since we got word it was going to be in New Orleans and knew it would be a really fun trip, on top of being educational and professionally important. 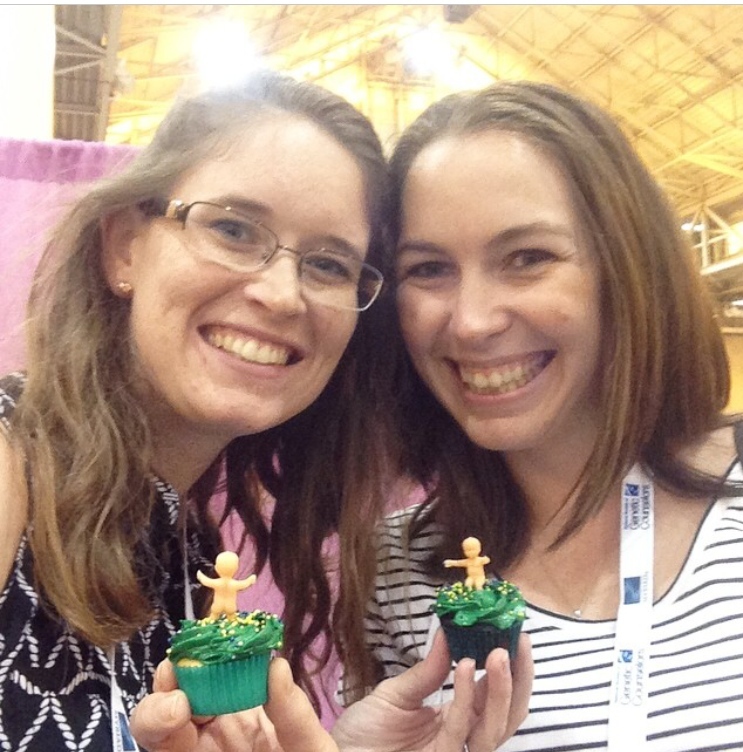 Alexis and Kristen both got to go to NSGC this year and we had a great time catching up and learning and playing together. Genetic testing companies are clearly doing pretty well for themselves, and know that genetic counselors are a good audience they need to court to get their tests ordered...this is a combination for some pretty amazing after hours parties. And while competition among companies drives test costs down for consumers, it drives party fun way up for us. I am pretty sure I paid for about 2 meals the whole time. French Quarter was quite fun and a spectacle of sights and sounds. It was really interesting to wander around at different times of the day. It is a totally different place at 2 pm versus 11 pm versus 6 am. And FYI Bourbon Street does not smell good at 6 am...jogging down it on an early morning run was not the best idea in hindsight. Running past the park and cathedral was quite lovely though. There were a lot of beignets eaten over the course of four days. More than I would like to admit. And made the running we did all too important. But you can't go to New Orleans and not make a pilgrimage to Cafe du Monde. The exhibit booths at the conference were also filled with information about genetic tests, resources for patients, and New Orleans specific swag. Like king (cup)cakes with babies on top. 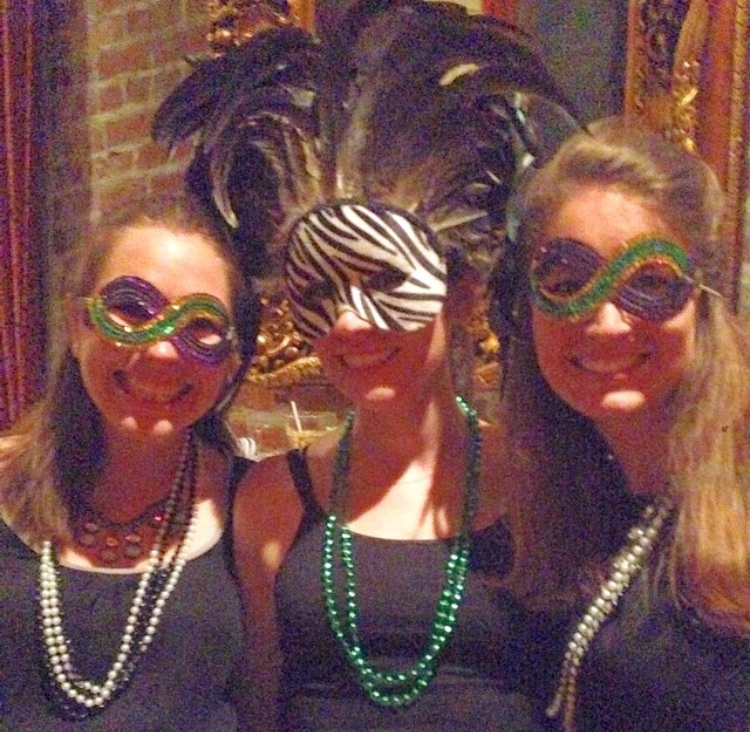 And photo booths with masks and beads. And of course the token GeneDx zebra appropriately themed wearing a mardi gras mask. Yes, I took home 9 zebras to share with friends back at work. The zebras have quite the cult following. Our graduate school program director, Nancy, was at the meeting and we were super happy to take a couple hours one afternoon to catch up with her over coffee and cookies. 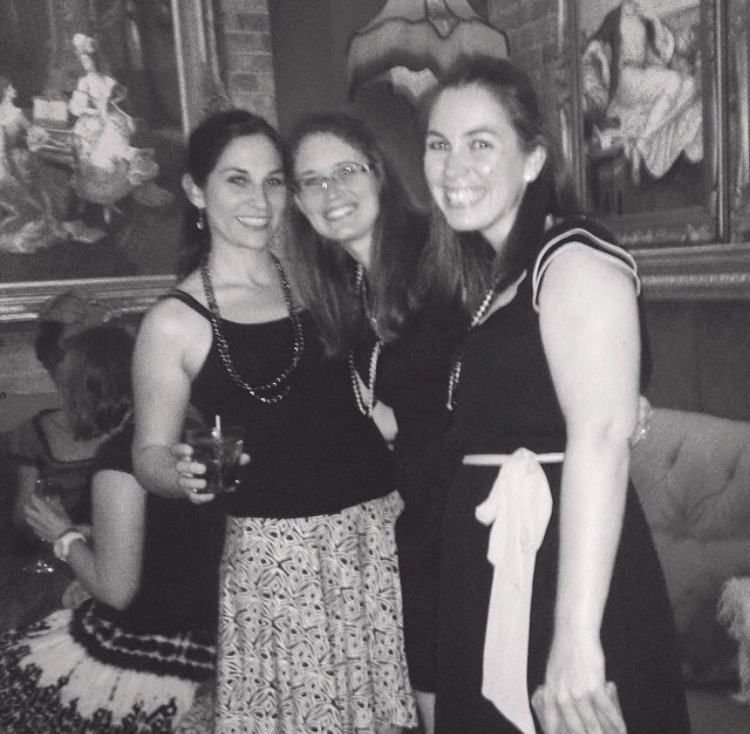 Even years out of grad school she is still like family, and still affectionately calls us her "sorority class" because we all were and still are so close. We caught up on life and work and started plotting activities with her for a five year class reunion trip back in Greensboro next year. Food was amazing in New Orleans. Much of our eating was directed by sponsored parties and events, but there were a couple of lunches where we got to go explore and find cool restaurants on our own. The shrimp omelet below was from the Ruby Slipper Cafe named after the Wizard of Oz and the idea that "there is no place like home" and the rebuilding after hurricane Katrina. Their food was super yummy. Thursday night we went to a happy hour which wound up being our favorite of the sponsored events. They really went all out with amazing food, caricature artists, tarot card readers and all the beads and masks you could wish for. Alexis, Kristen and I also had a group caricature done. 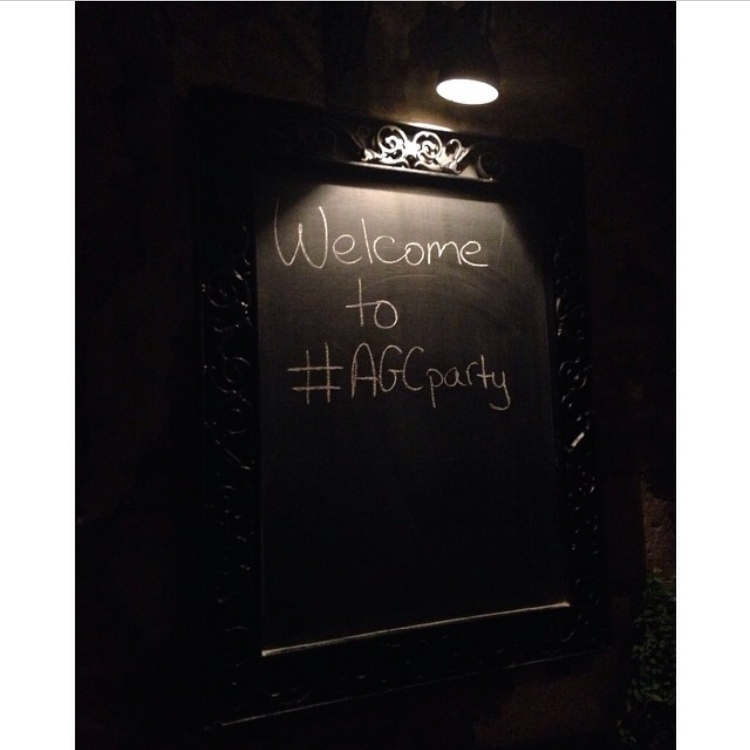 Auburn was playing Thursday night so I missed most of the game but a few other fellow Auburn grad GCs petitioned for a TV to be turned to the game at the sponsored annual genetic counselor appreciation party later that night. So we saw got to see the end. War Eagle! So excited to be in Auburn next weekend and see our Tigers play in person. Friday morning came early after a late Thursday night, but I got up anyways and did a 2.2 mile run to benefit the 22q Deletion Syndrome Foundation. After the race what was served? 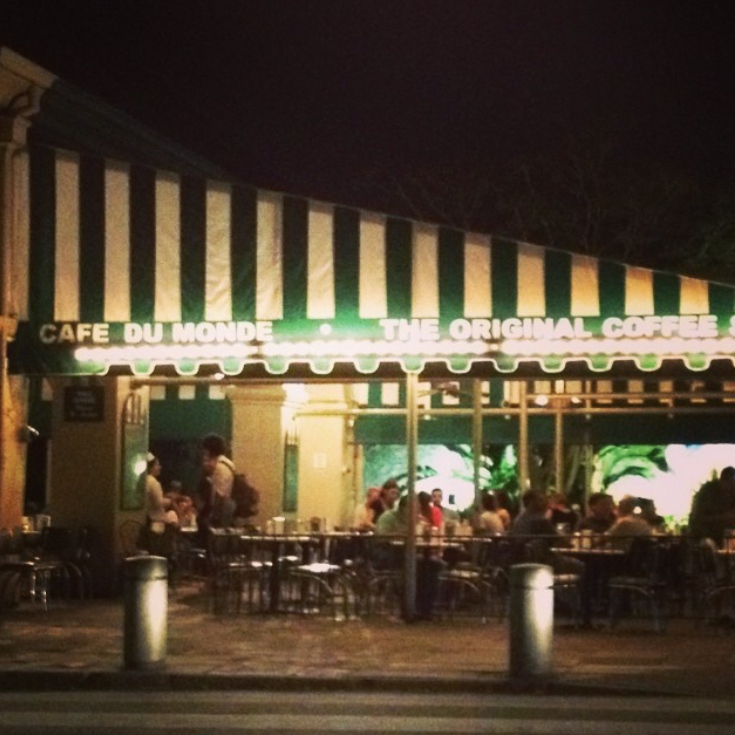 Beignets and coffee...only in New Orleans. 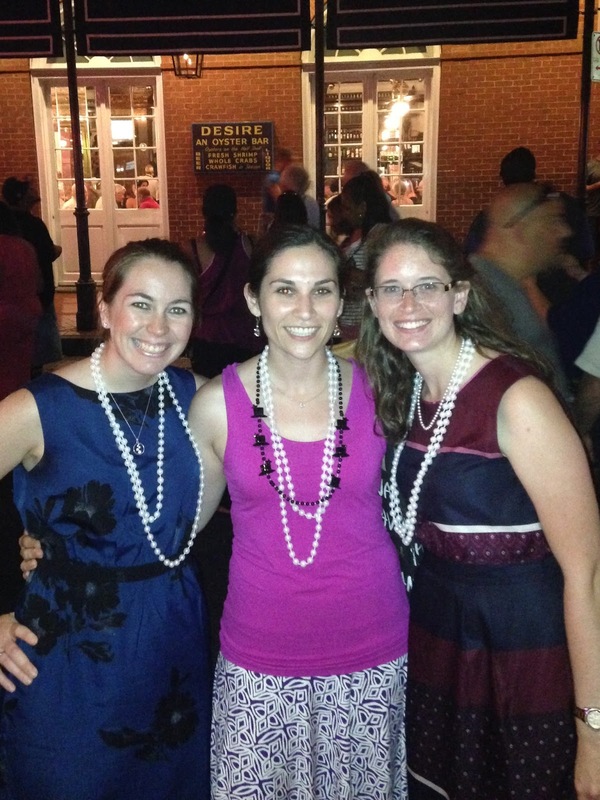 Friday night we went to a "Party Gras" event in the French Quarter sponsored by another company. They had a jazz band, photo props and lots to eat and drink. They even had a dessert station where they were making fresh bananas foster for dessert...with flames and all. It was a super fun couple of days. We learned a lot too, but I will not bore you with genetics facts and knowledge. It is amazing though how much the landscape of genetics has changed over the past 5 years since I have been out of school. We have moved so quickly from testing a single gene to sequencing 20,000 genes in one ordered test. It is awesome to get to be on the front lines of seeing that transition happen though. The worst part of the week was knowing that I had a sick little boy at home. Perry got a fever starting Thursday night and we just today confirmed that he has a bad case of hand, foot and mouth disease. So that made for some stress for me in New Orleans and for Andrew on the home front as we got him evaluated and child care issues taken care of. 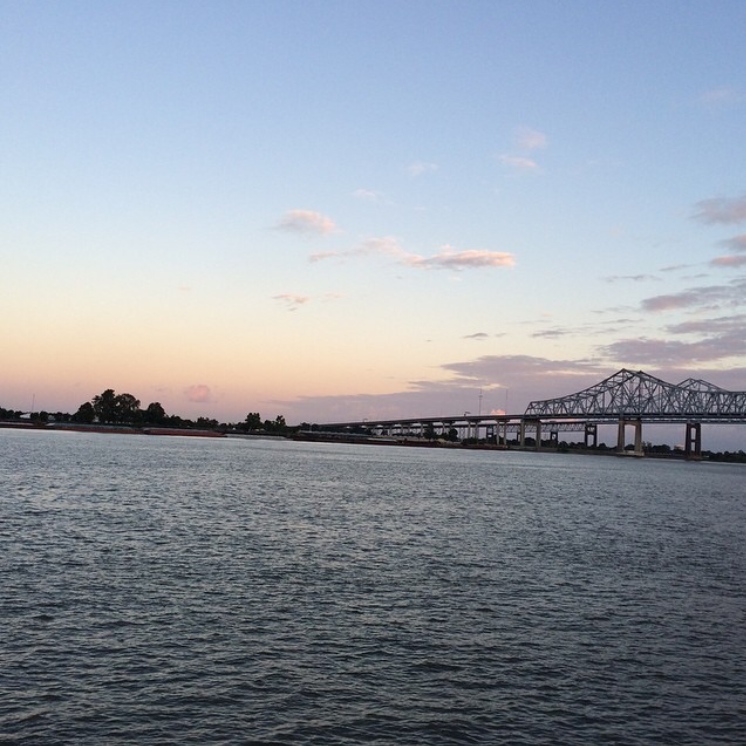 It was a fun trip to New Orleans, getting to wander these sights each day and night. But I was sure glad to get home to my boys.